Handcrafted here in the USA from reclaimed and repurposed oak wine barrels, our artisans created a multi game table that will add fun and function to your home, game room, man/woman cave, and or wine inspired tasting room. 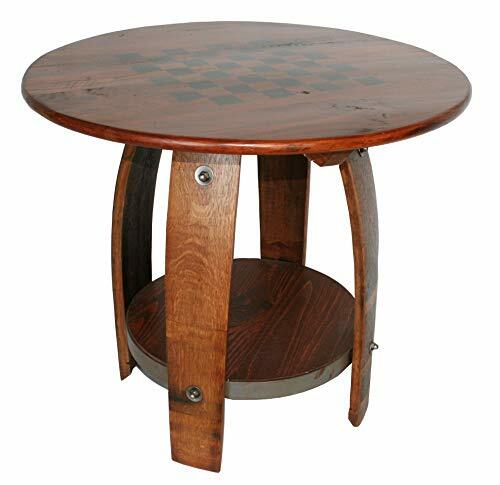 The top has been engraved and outlined as a chess board table or checkers board table or just a beautiful side table for many other uses. The four legs of the table are made from the wine barrel staves that are fastened to a shelf at the bottom which is encased by a metal wine barrel ring. This shelf can hold a plant, house chess and checkers and so much more. 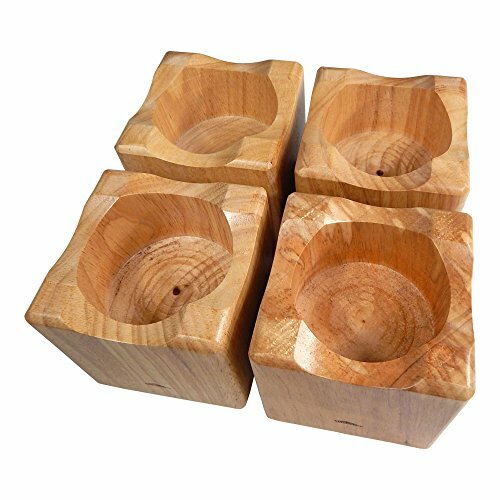 Once assembled we have stained the piece is a rich pine finish that is beautiful and will fit in well with just about any décor. 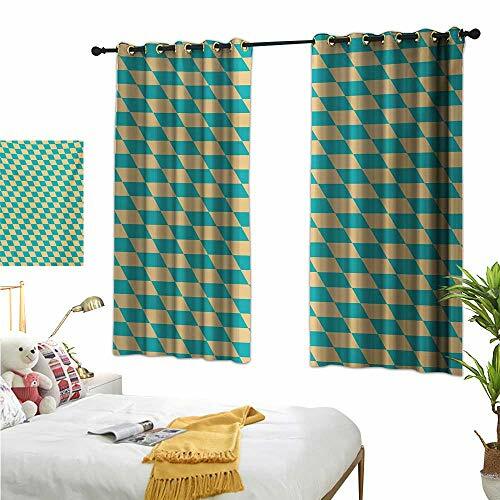 We can assure you that this will be a great piece for you or for the person who is hard to buy for. Kids and adults love the diversity of this game board table. Chess or checkers sets are not included. Size is 30" in diameter x 27" tall. Just grab some stools or chairs and let the games begin. This custom made to order piece takes approximately 4 weeks to manufacture. 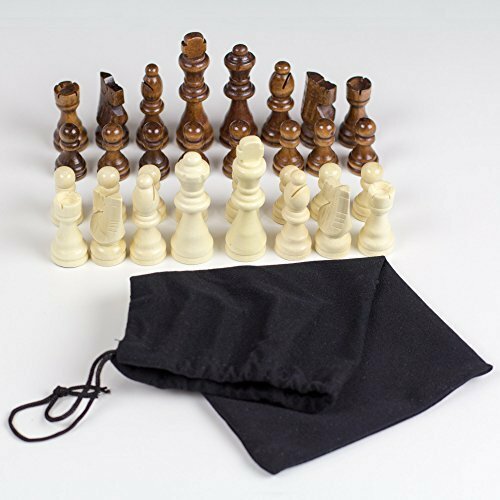 Enjoy your favorite fast moving game of skill and strategy with the Best Chess Set's Vicente solid Oak wood folding Mancala set. Mancala can be played by players of all ages. It is played throughout the world and has been especially popular all over Africa and the Middle East for Centuries. The game dates back thousands of years ago and is said to have originated in Ancient Egypt. 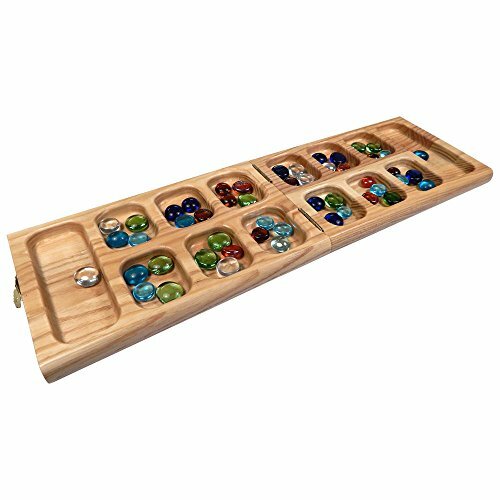 Mancala can be played by two players or two teams. The playing board has two rows, each containing six recessed circular spaces, as well as one larger recessed oblong space (also called the "home") at either end. The playing board is laid horizontally between the two players. Each player (or team) takes 24 game beads and places six of them in each of the six circular spaces on his or her side of the playing board. Each player's home space is the large recessed space on his right side of the playing board. The object of the game is to collect the greatest number of beads. The high-end wood used to create this game comes from USA and is eco-friendly. Please make sure to measure out our board dimensions to see if they fit your needs before ordering. Best Chess Set is a California based company and this product is assembled in China in our own quality controlled factory. Classic Games Collection - Table Top Backgammon. 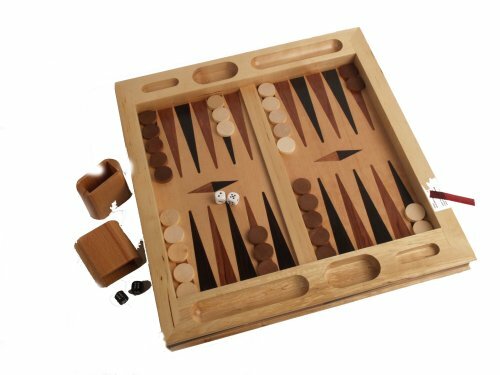 A beautifully crafted, tournament quality, wood backgammon board complete with 30 wood playing pieces, 2 wood dice cups and dice. Carved out compartments hold pieces, cups and dice. Board Dimensions: 19.8" L x 18.8" W x 3.3" H Weight 7.9 lbs. 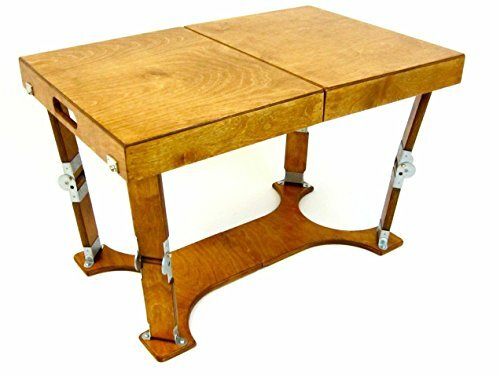 Spider legs handcrafted portable wooden folding coffee table, with a patented folding design and original locking hardware, are custom crafted in the USA. The Coffee Table folds like a briefcase for easy storage and transport and has its own built in handle. The folded dimensions are 18" x 14" x 4.75". 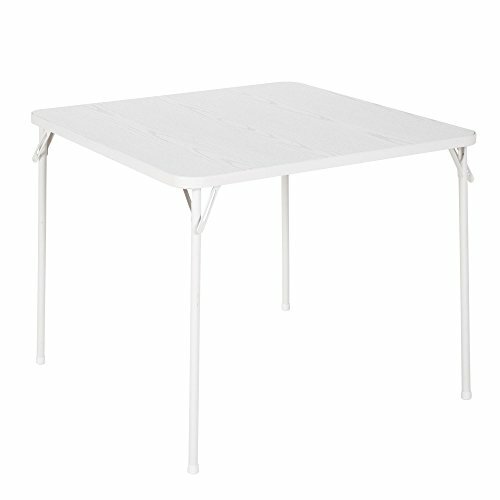 The unique folding table base adds stability. Items such as coasters or games can be stored or carried in spaces inside the folded table. The locking hinges prevent the table from collapsing when opened. Each leg has been tested to support more than 75 pounds (recommended load limit). Hinge locks may be easily released by pressing the solid brass lock buttons between the thumb and a finger. 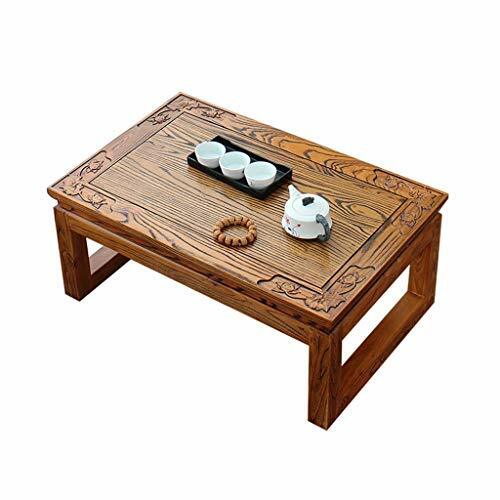 The table may be used indoors or outdoors and is built 18 Inch high. Uses include portable coffee table, RV coffee table, outdoor concert table, camping, temporary outdoor coffee table, chess table. The compact folded size makes for easy storage. Clean with a damp cloth. Renew wood surfaces with wood care products. US Patent numbers 6,779,466 and 7,337,728. European Patent Number 1 466 644. 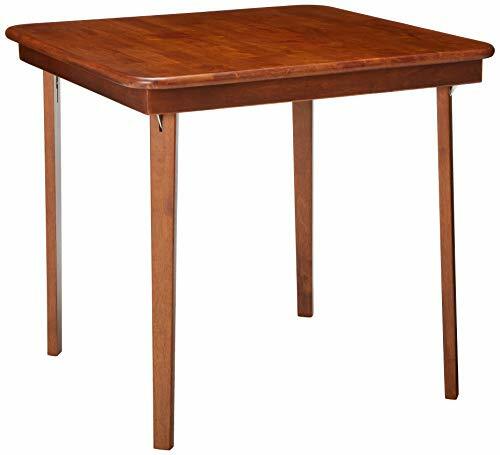 The table includes a full one year warranty. Tomokazu's Northpoint 2 inch furniture riser will add a touch of class to your home or office. This high-end product is finely made out of renewable Rubberwood lumber from Thailand. In addition, it is made out of solid wood so is very sturdy. The set of 4 weighs about 4.4 pounds total and the hole for each piece is 3 inches in diameter. Please make sure to measure out our provided dimensions to see if they fit your needs before ordering. Tomokazu is a brand by Best Chess Set, a California based company, and this product is assembled in China in our own quality controlled factory. Compare prices on Oak Chess Table at Elevelist.com – use promo codes and coupons for best offers and deals. We work hard to get you amazing deals and collect all avail hot offers online and represent it in one place for the customers. Now our visitors can leverage benefits of big brands and heavy discounts available for that day and for famous brands.